Players born 2009 & 2010. "At the Liverpool International Academy America our mission is provide an environment where players can develop an intrinsic awareness of their own skill level and strive to push themselves as an individual. We believe that a player’s self-awareness coupled with professional training is the perfect environment to prepare players for a higher level of soccer once they graduate from the Academy program." The Pre-Academy program is a player development based program. Pre- Academy players attend practice twice a week under the instruction of an LFCIA Western Maryland professional coach. Players are developed according to the famous Liverpool FC International Academy Curriculum. Provide players with a high standard of coaching. Educate players and parents about the concept and importance of player development. Set a fun, safe and educational environment. Lay the building blocks for players learn the fundamental and technical skills to take to the next level. The curriculum has been developed by the Liverpool International Academy America and is based on the current US Soccer Federation guidelines with the objective of preparing Academy athletes for play on LFCIA Western Maryland select teams and competitions. Pre-Academy players practice twice a week with a professionally licensed Liverpool FCIA Western Maryland coach. 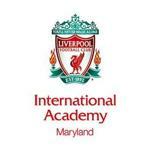 All LFCIA Western Maryland staff are required to plan sessions according to the Liverpool International Academy Curriculum with a focus on individual player development. The education of both players and parents within the Pre-Academy program. Improvement in the level of play of each child. The number of players who progress on to our Academy Teams after the Pre-Academy program. The development of a player’s passion and enjoyment for the game of soccer.